If your looking to rent a rolloff in Fair Oaks, don’t accept slow responding companies or late deliveries. For over 10 year’s we’ve delivered our dumpsters on-time, when and where our customers need them. Know your way around dumpster rental with the help of Sacramento Dumpster Rental Pros, a company dedicated to providing you accurate details about waste removal containers. We promise to guide you in choosing a Fair Oaks California dumpster that can perfectly accommodate the trash produced by your project. Don’t worry if this is your first time to rent a roll-off container; we will be there to guide you every step of the way. We cannot emphasize enough the need to choose the right dumpster rental size, but there is one way you can be sure you are on the right track, and that is by seeking professional help. 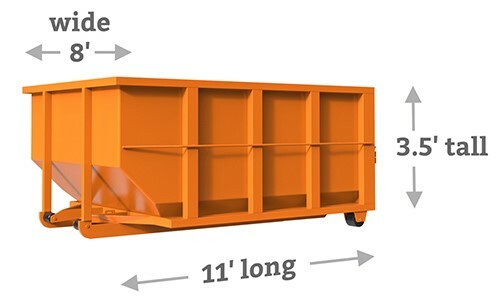 With our lengthy experience, we can suggest the perfect size of dumpster for the project you are working on. Call us at 916-502-9022 about the project you want to undertake, and we will advise you on what is the best size to use. Containers such as these are in cubic yards, and this makes it quite easy to remember just how much junk it can accommodate. For instance, if you are renting a 10-yard dumpster, you should be able to fit in around 10 cubic yards of waste in the container. 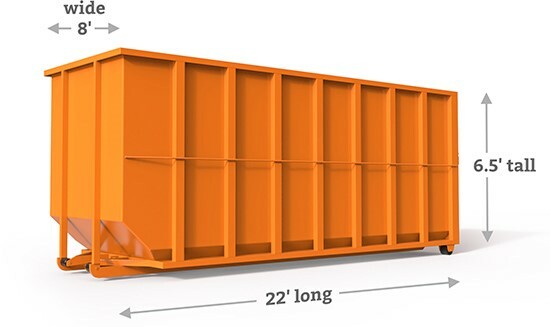 If it is a 15-yard dumpster, it should be able to accommodate 15 cubic yards of junk as well Here are the different size dumpsters you may want to familiarize yourself with so you can visualize the size of container to utilize for your project. 10 and 15 Cubic Yard Dumpster: The 10-cubic yard bin is perfect for residential cleanouts and minor room remodeling projects. Likewise, this size will also be perfect for yard debris from a small landscaping project. 15 Cubic Yard: The dimension is not that much different from the 10 cubic yard. It can contain junk you discard from your attic and basement. It can hold up to 6,000 lbs. of waste materials, so you can use it for medium-scale landscaping projects and basement cleanout. 20 Cubic Yard Dumpster: Bigger house cleanouts produce more trash. This can also be used for landscaping on a modest yard that generates a lot of twigs, rubble, soil and weed. If you are landscaping or constructing a pool or patio, this size will probably be the one for you. 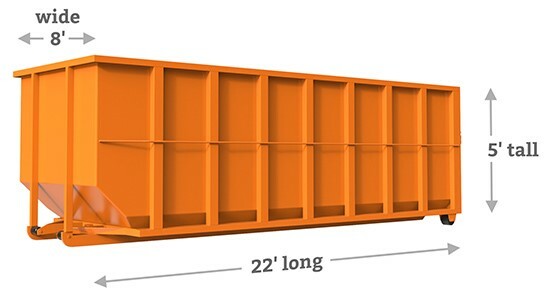 30 Cubic Yard Dumpster: This type of dumpster can hold between 7,000 and 10,000 pounds of trash. The bin is spacious enough for your damaged cabinet, kitchen countertops, appliances and wall decors. You can also use this dumpster for remodeling projects for two or more rooms in a medium-sized house. This is ideal for house cleanouts, major landscaping projects, new construction or renovation, and if you need to clean the trash during and after festivals. 40 Cubic Yard Dumpster: Commercial construction projects typically rent this type of dumpster because of its space and the load capacity. Lumber, siding, and other construction debris will be disposed of properly using this container. This is a popular choice of construction and demolition companies and individual contractors. You cannot choose a roll rental service if you do not fully understand how it goes in the first place, regardless of whether you want a residential dumpster or a commercial dumpster. This is why we insist that potential customers will call us first. Do You Need a Dumpster Permit in Fair Oaks? The best thing is that you are not obligated to hire our services even if we answer some of your questions or give you a quotation of our rental dumpsters. Sacramento Dumpster Rental Pros is always glad to hear from you and discuss all your dumpster problems. You only have to tell us a bit more about your project, especially the extent and type of project you are going to undertake, for us to recommend the right dumpster rental for your needs. Whatever concerns you have about a dumpster for rent, we encourage you to voice them out. We know it can be confusing to consider all the factors discussed above, so we suggest calling our hotline 916-502-9022 so we can explain everything in greater detail. We have proven expertise in delivering professional roll off dumpsters in Sacramento, and we can assure you that we will provide you with an honest and accurate quote. When thinking of hiring a metal dumpster rental company, you should always consider the track record and legitimacy. We guarantee to provide a fixed-rate quote. There are no added fees. Call us and let us discuss your needs first, then we will give you a fixed rate price quote.